A view of the newly crowned biggest tree in Illinois which stands in the Bald Hill Forest Preserve in Mt. Morris. The tree stands 122 feet tall with a 28.5 foot circumference. 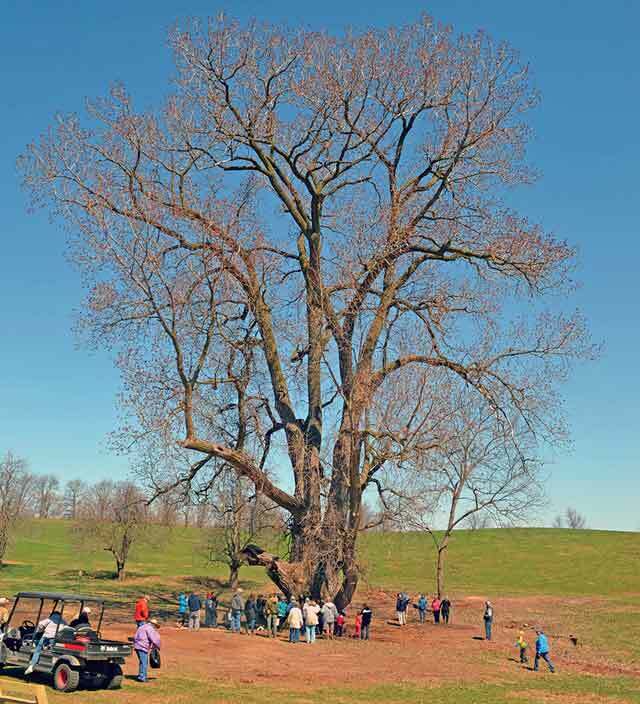 When Byron Forest Preserve Director Todd Tucker saw the large eastern cottonwood at the base of a hill in the newly acquired Bald Hill Forest Preserve this past January, he thought there might be something special about the tree. So he fought through the limbs and brush that surrounded the base of the tree and proceeded to measure the trunk. Tucker stretched his arms wide and went around the trunk, counting each wingspan as he went. He counted six wingspans in all. That’s when it occurred to him this tree could be a record breaker.